We are just normal, everyday people. We are not brain surgeons, Nobel Prize winners, spiritual leaders or school teachers, but we still want to make the world a better place, so we came up with 3 commitments. We believe that through practice, we too can make a difference. 1) Right Consumption: Pangea makes conscious purchasing decisions. We buy only free range and hormone-free meats and favor local, organic growers. We support fair trade and, environmentally correct companies. 2) Right Action: Pangea observes good citizenship by practicing joyfulness, gratitude and respect. It’s not always easy but it is important. We believe food made consciously is more vibrant and tastes better too. Now if we could just get world leaders to work a shift or two at our restaurant, maybe we could solve world peace. 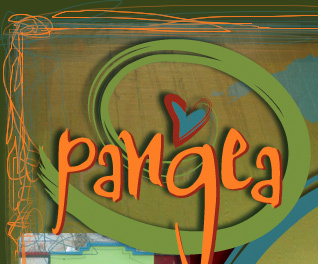 3) Community Support: Pangea gives back to our community and the world through donations of money, food, gift cards and percentage of sales events. We focus on environmental, humanitarian and local causes. As a rule, Pangea does not donate to: individuals, for-profits, academic or medical research, or any political or religious groups.